One of the joys of nursing is the variety, depending on your specialist field, and where you end up working. My sister is an adult nurse working in palliative care. We may share a job title but the day-to-day description of what we actually do could not be more different. Whatever type of nurse you are, whatever type of nursing you enjoy, there is something out there for you. The fact that nursing involves a diverse group of people with such a variety of skills and experiences is one of its strengths. As a student this means you will ideally get a range of placements during your training. You will hopefully have the opportunity to experience different types of nursing, to discover which suits you. The downside is you may find yourself on ones you do not enjoy. When this happens it is frustrating, and you can easily slip into a negative mindset. Feeling it is a waste of time can be unsatisfying and demotivating, however much you tell yourself that it is only for a few short weeks. I recently found myself on a placement with limited learning opportunities, which I found exasperating as I felt I was not learning much or being challenged. Yet it is important to remain positive, to try to find something to learn from every situation. As students, we are responsible for our own learning, and it is important to reflect on our experiences, even (or especially, arguably) the bad ones. 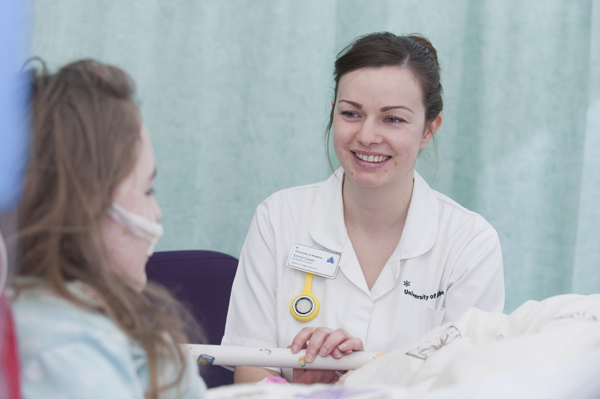 On some placements you learn invaluable nursing skills, and finish your time feeling accomplished and successful. On others, you simply learn what type of nurse you do not want to be, or which areas you do not want to work in. After finishing a placement like this, it is important to not be disheartened or think of it as a waste. There is always a lesson to learn, however small.